Sumo Bank is an automated personal savings/investment, finance management and learning platform that helps you save, receive and plan your finances effectively and make better business and financial decisions. Powered By Sumo Tech Global Limited in Partnership with Entrepreneur Nigeria to help both old and young entrepreneurs, business owners, students, parents, career men and women save and raise funds for their proposed and planned project execution. With Sumo Bank, you can save to raise money for something or invest your money to earn profit returns annually using the various account types. How do you do that? It’s simple. 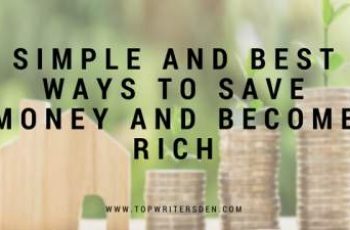 You simply save little amount of money from time to time which can be daily, weekly or Monthly for a chosen period of time to reach your savings goals. Once you reach your target, you can go ahead and withdraw your funds to serve the purpose which made you start saving in the first place. There is also another option of fix saving your money to lock out funds and avoid spending temptation when it arises. This Fix Saving option on the Fixed/Investment account will make your money unavailable for a minimum of 365 before you can be able to withdraw with a 15% interest payout per annum. If the Fix saving option is too long for you to wait, you can save for a mission and withdraw when your savings target has been reached. Sumo Bank is ever ready to help you save and manage your money by providing a simple, flexible and non-tech web tool and App to handle all that on the go using your mobile phone. 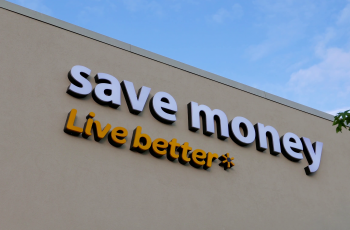 You can also receive savings from anyone at any time. Sumobank is helping fight unemployment and poverty in Africa, on this note, the platform is in Partnership with Entrepreneur Nigeria to provide FREE business academy to all Sumobank users which will enable Sumobank incubate, nurture and raise global job creators who will eventually create different jobs across different sectors. You will also get access to Entrepreneur social platform on where Sumobank users can network and collaborate with like minds towards accomplishing a common goal. Who Is SumoBank Meant For? Sumo Bank is meant for everyone. An entrepreneur can start making savings to kick start that proposed business/project in the coming year. A Civil servant can start saving from his/her monthly salary against December holiday he/she is planning, save against retirement using the fix save account. Students can start saving up from their pocket money to launch a new business, shop for something, next summer excursion, raise emergency funds, etc. Freelancers can start making automatic savings for their next venture using Sumo bank. Parents can start making savings and investment for their children and get 10-15% returns annually as long as they want. Only Investment account pays up to 15% per annum. Employers can start sending savings to their employees against their next target based on request from employees. Why Would I Use SumoBank Instead of Normal Bank? Sumo Bank is very flexible to use and pays you 0.833% monthly, amounting to 10% annually and saves you the stress on going in and out of banking halls with all the hurdles attached to it which is not flexible with fixed deposit or spend2save accounts on commercial banks. Also, there are no hidden charges on SumoBank apart from penalty charges that comes from making unnecessary withdrawals.